We publish traffic data (and provide additional data to our advertisers) which are never inflated and are very carefully processed – for example, removing the influence of robots, subsequent calls of the same page, etc. When comparing referral traffic with what was recorded by the web server of a customer, our data often come out somewhat lower. We clearly explain what the data mean. For example, we state exactly to what parts of our website page view data apply. Others present data for their whole website in the context of their buyer's guide, even though most of the traffic is not relevant at all for the buyer's guide, because it cannot lead visitors there. In our view, that means misleading people. You can easily check the plausibility of our high traffic numbers, which are based on the enormously high search engine ranking of our site. The latter largely results from our very popular encyclopedia. Others do not have such valuable content intimately connected with their buyer's guide. We do not require them to register with our site. We never try to track users, but only collect anonymous usage data. We carefully avoid any features which lead to transmission of user data to third parties. For example, we use modified versions of social media sharing buttons which do not transmit any data to social media sites before a user explicitly wants that. We never try to intrude the communications between our users and suppliers. For example, we do not offer a form for acquiring offers, storing the users' data for our own purposes. For example, we do not promise an SEO value to result from being listed in our buyer's guide. Others do that, without having a substantial search engine ranking themselves. That is not credible. 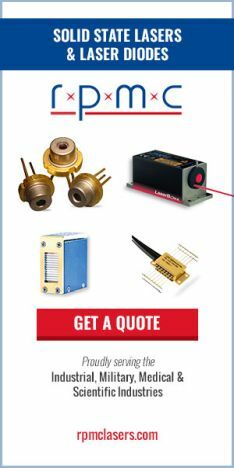 What we offer is (a) effective branding and (b) efficient lead generation – and here we can achieve more than any other photonics website. A bold claim, which however is well founded in reality and often confirmed by our advertising partners. We are proud to have very happy advertising customers not only due to the high value of our offers, but also a forthcoming and helpful service. If nevertheless anything goes wrong, we offer a generous compensation. If a customer's needs change during an advertising period, we show high flexibility. Our strategy is to establish fruitful long-term partnerships based on hard work, honesty and fairness, rather than producing some quick revenue with minimum effort. It is not just a question of moral superiority. Having developed an enormously popular website, we can now deliver true value and have no need to mislead anyone.